Sportives are cycling events organised in advance for cyclists to ride a pre-determined route. These can be anything from a few hours, maybe 25 to 40 miles, to the more challenging Century rides (100-miles). Some sportives are aimed at raising money for charity, whereas others are simply to encourage cyclists to ride routes that are new to them or to challenge them. 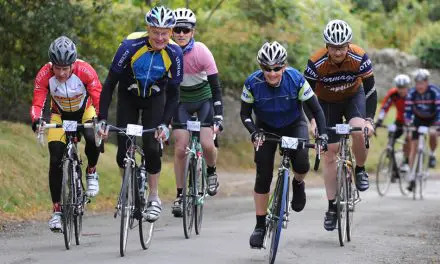 We have plenty of sportives listed on this website and if you are based in the North-West, you may want to check out the Sportives in Cheshire, Wirral & Merseyside and if you are looking for longer UK Sportives, these Closed Road Sportives are pretty special events. 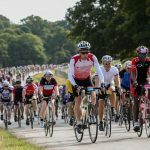 Riding your first sportive may seem a little daunting, either because you doubt your ability to cycle the distance, unsure of what to expect or feel slightly intimidated by the hoards of lycra-clad MAMILS lined-up alongside you. However, there is nothing to be worried about and this guide to preparing for sportives is an easy starting point. Preparation is important for both yourself and your bike and it’s not just about fitness and pumping up your tyres. It’s also about safety, nutrition, clothing, equipment, route maps and so much more. Being prepared will go a long way to ensuring you enjoy your first sportive, which will inevitably lead to you getting hooked and doing them on a regular basis. Whatever your inner alpha-male voice is telling you, ignore it, because you simply can’t turn up and complete a sportive without having done any training. Sure, you don’t have to have done much if you are reasonably fit and plan to do a small distance but the more prepared you are, the more you’ll enjoy it. For those with very little fitness, start with a short ride 45-60 minutes, on a regular basis. From there you can build up to several hours, which will probably take you to covering distances of 25-30 miles. 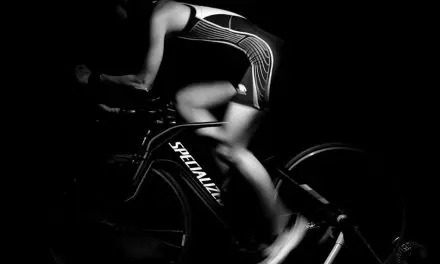 The key to fitness training is to carefully stretch the muscles, build stamina and get used to riding your bike. Cycling is a great way to burn calories and lose weight so there are some added benefits too. 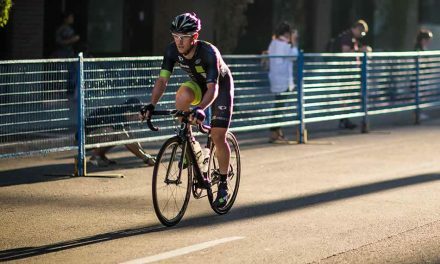 Before you go anywhere near your bike, there are some basic warm-up exercises you should do to ensure you avoid muscle injuries or post ride stiffness. For the more experienced cyclist, you’ll probably be doing 2-3 hour rides already so setting your sights on a 50-mile sportive isn’t something you should worry about. Riding at a steady pace, say 12-13 mph, then you should expect to complete 50-miles in under 4 hours. This would be a great milestone for your first sportive. To prepare for this length of sportive, I’d recommend doing rides of 30-35-miles, a couple of times. The adrenaline on the day will carry you to the finish line, unless you encounter really poor weather. If the route is hillier, then you may want to ensure you have a few hills in your practice rides. Never be afraid to get off and push, we’ve all been there at one stage. It’s important that you save sufficient energy to carry you to the end and burning all your reserves on one hill isn’t a good idea. Some further reading, Health Benefits of Cycling, Cycling for Weight Loss & Toning, Lose Weight and Burn Calories. If you’re bicycle hasn’t been out of the garage or shed for a while, it’s important to check a few things before going for your first ride. If it’s been there for too long, we’d strongly urge you to ask your local bike shop to give your bike a basic service. It won’t cost a lot, or take too long and will be worth every penny. Tyres: Tyres should be properly inflated, have good tread and devoid of cracks or any signs of damage. The correct tyre pressure to use is usually on the side of the tyre itself but bear in mind it is also based on your weight. Wheels: Nuts or quick release mechanisms should be tight and securely fastened. Spin the wheel to ensure it moves freely. Do not oil or grease the rims. Seat Post: Check to make sure that the stem is fastened tightly and that your seat is set at the correct height. Handlebar Stem: Ensure your handlebars are set at the correct height and position. Chain: Check that your chain turns smoothly through your front and rear sprockets and doesn’t rub against the derailleurs or make a grinding noise. Ensure the chain isn’t covered in rust or excessive grime. Use a good quality lube the day before the sportive. An absolutely essential part of your sportive preparation should be what you eat and drink. This isn’t about turning you into elite cyclists here, just trying to ensure you eat well in preparation for the day itself as this will play an important part of how you perform and feel out on the road. Breakfast remains the most important meal of the day, particularly if you are going to be spending most of it on your bike. You may wish to have something as simple as a banana or some wholemeal toast, although you can also go for items that are a little more delicious, like a smoothie that uses yoghurt as its base. Personally, I go for porridge or an oat based cereal. One urban cycling myth is carb-loading. Our bodies can’t store more energy than we need, and for cyclists, this equates to around one and a half hours of cycling. So if you had a big bowl of pasta the night before, you don’t need a huge breakfast the following day. Just ensure you have eaten healthy foods leading up to the sportive and a decent breakfast on the day. Now, having said that, you should also plan to eat well on the ride. Just remember that you’ll have eaten enough for the first 2 hours, and that you’ll then need to eat sufficient for the remaining ride. I personally find that if I eat 60-90g at the 25-mile marker, and another 60g at the 50-mile marker for longer sportives, I’ve got enough energy available to complete most sportives upto 75-100-miles. Depending on fitness, weather and gradients, I may just need an odd gel or two as well. One thing I do recommend is to add an energy powder to your water bottle, something like the SIS Go Energy Powder. There are some links below to some useful articles on this topic. Perhaps the most important element is the one we haven’t even mentioned yet, water. It is uber important that you drink plenty of water, however, don’t take too much at any one time as this will make you bloated and uncomfortable. Instead, take small sips on a regular basis. I drink at least one litre of water about half an hour before my ride and take around one litre for every hour of cycling. The rule of thumb here is that if you become thirsty, it’s too late as you’ll have started to dehydrate by them so keep topping up. Most organised sportives have feed stations which should have water available so you can top-up en-route. Some further reading, The Best Cycling Diet, Guide to Energy Drinks & Foods for Cycling, Food & Drink for Cycling. The British weather is interchangeable and so it is always adviseable when cycling to be prepared for it getting warmer, colder and wetter. It’s normal for sportives to start early in the morning, especially if you are doing a longer distance. I’ve known it to be freezing when I set off and then roasting mid-ride. The key here is to have several layers, that can be removed or added, depending on the weather conditions. Staying Warm: For early season sportives, it’s likely to be a little cold at the start and not much warmer during the ride. Wind and rain are going to make you feel cold and possibly miserable so staying warm is important. However, before you rush off to knit an extra jumper, remember that you’ll be exercising and as such producing body heat. So, we return to layering. Weather changes and you’ll want to be able to adapt you’re clothing to how you are feeling. Start with a base layer, Helly Hansen & Under Armour are perfect but a pure cotton t-shirt is just as good. Next, add a mid-layer, something like a sweatshirt or cycle jersey. These two layers should suffice for most Spring or Autumn mornings. Shorts or Tights: With regard to the bottom half, this is very much down to you as an individual. As an experienced cyclist, I always wear shorts, even in Winter, as I find it more comfortable. However, tights help to keep your muscles warm, which is important. Wearing shorts when it’s raining is so much better too as it’s your legs that get wet rather than your clothing. Wet clothing is heavy, legs aren’t. Chamois Cream: Probably one of the most important things to remember, and one that can save you from a very uncomfortable ride. Staying Dry: In addition to your base and mid-layers, I would also advise you to take a top layer, this being a lightweight jacket which is shower and/or waterproof for those infrequent showers we sometimes get. Oh Lordy, where do we start? There are hundreds of items we could suggest but we’ll try to limit ourselves to the essentials. Whilst it is always the cyclists responsibility to have the right equipment with them, you’ll be riding with plenty of other cyclists and the better sportives usually have bike mechanics available to help if needed. The most important tool is probably your mobile phone, so make sure the battery is full before you set off and carry it in a plastic bag in case it rains. Pump: Pretty obvious, pumps your tyres up when they need it. Most are lightweight these days and fit on the side of your bike frame. Alternatively, consider a lightweight CO2 canister. Spare Inner Tubes: Essential. Don’t even think about setting off without one or two spare inner tubes. They cost a few pounds and will get you home. You’ll need a set of lightweight tyre levers as well. Multi-Tool: Guess what these do? Yep, they offer you multiple solutions to fix stuff. Commonly include size 4, 5, 6 allen keys and a few other bits that most of us never need or use – until we do! Lights: From a safety aspect, we’d recommend all cyclists have a set of lights. Pre-ride preparation would include checking that they work and that the batteries have sufficient charge. A sunny day often turns bad in non-summer months. GPS Device: A good GPS device, like a Garmin, will help you record your ride, and show you the right route if the route signs aren’t available. Even if you decide not to download the sportive route, instead trusting the organisers’ route signage, it’s wise to have had a quick glance at the route map to familiarise yourself on the general directions. I also tend to check the route out on Strava or RidewithGPS to see the elevations. A rough mental note of where the climbs start can often prove beneficial. Clothing: Clothes should be freshly laundered and shoes should be clean. Depending on the weather, you’ll either be wearing your jacket or packing it in your pocket. Once you’re dressed and ready to go, grab your gloves, shoes and helmet. Bike Gear: The minimum gear you’ll need to take is a pump, inner tubes, multi-tool and your phone. Other items are optional but don’t overdo it as you’ll be the one carrying them around all day. Remember to put your phone in a plastic bag in case it rains. All that is left for me to say is good luck and I hope you enjoy the day! Please feel free to leave a comment below if you’ve enjoyed the article or have any suggestions, as I’m sure we could have missed something!